It's another Wonderful Wednesday here at Cooking With Cricut! Thanks for stopping by to see what our crafty Design Team is up to today. The hostesses for today's challenge are Debbie and Jenny J.. They chose a birthday theme to challenge the DT with -- but wait! 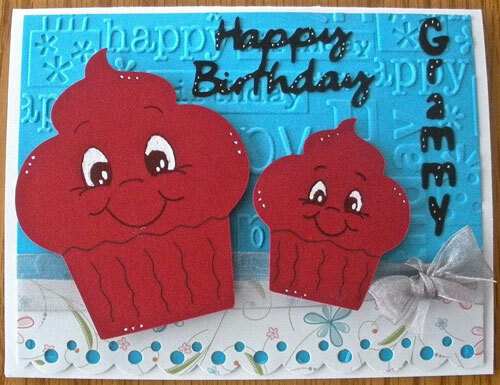 The projects must include a cake, cupcake and/or balloons. Check out what our talented DT came up with -- and don't forget to click on their names to visit their blogs for more details and to leave 'em some love and encouragement! Debbie used Create-A-Critter for this super cute birthday card. 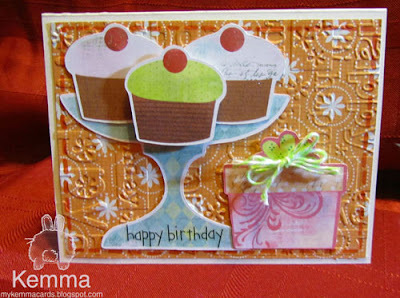 Kemma used the Imagine - Yummy cartridge to make her very yummy card! 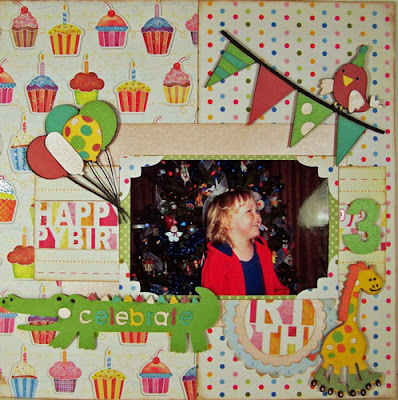 using the Birthday Bash cartridge. 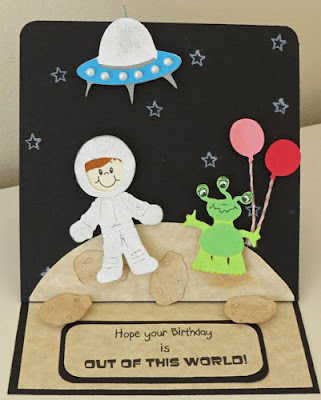 cartridges for an "out of this world" easel card. 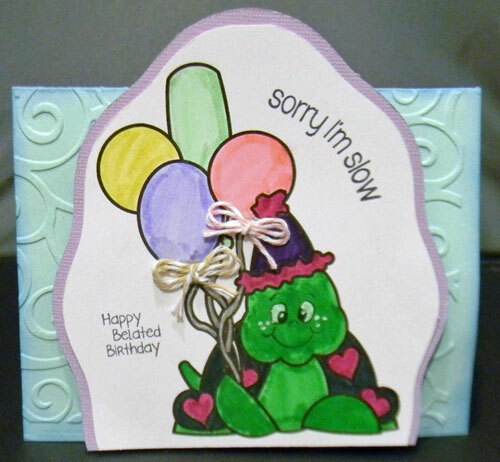 to make this sweet card for her Grandmother. cartridges to create bright and cheery birthday card. Felicia's adorable center step card was created using the Celebrations cartridge. 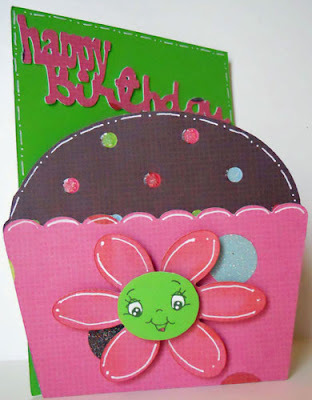 Charlotte used the Wild Card cartridge for fun card! Elizabeth used the Art Philosophy cartridge to create her delicious card. Now it's your turn! 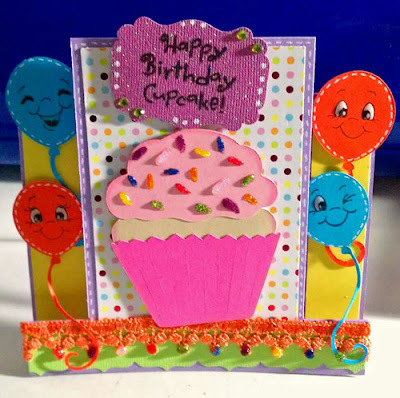 Link up your birthday project including cake, cupcakes and/or balloons - you just might be this week's Top Chef! Here are some guidelines . 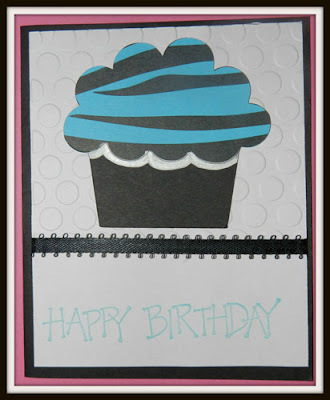 . .
As always, thank you so much for stopping by and crafting with us! Make sure you stop back by tomorrow to see what Chef Mindy has whipped up for our Thursday Cartridge Showcase. 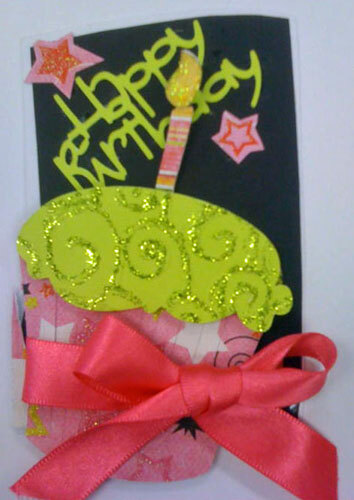 Thanks for giving me a reason to start working on some birthday cards!!! I enjoyed doing this one. The team has given us so many fabulous ideas. Thank you so much!!!! YUMMY challenge! Great projects DT! Thanks for the FUN! Wonderful DT creations. 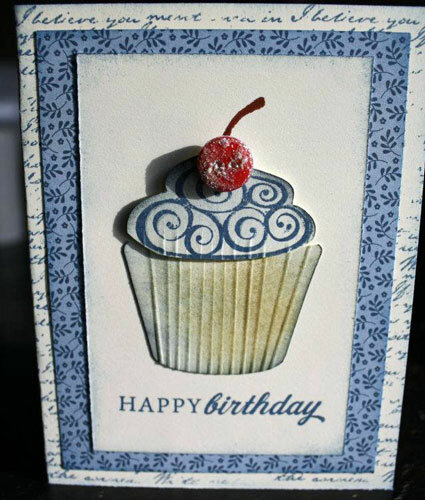 Entered 2 Cooking With Cricut challenges with this card. 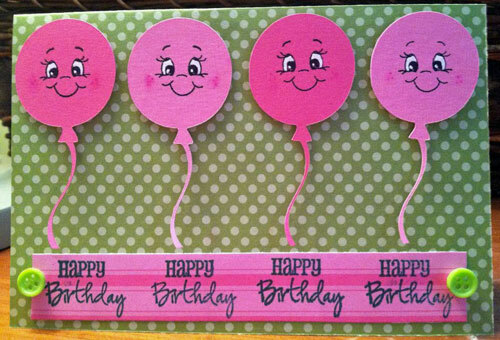 This the Birthday Cake, Cupcake and/or Balloons challenge and the Cooking with Cricut Die Cut & PCW challenge. All the DT projects are great. It has been a good while since I entered a challenge. I had fun playing along.